It’s the first POUND OFF. 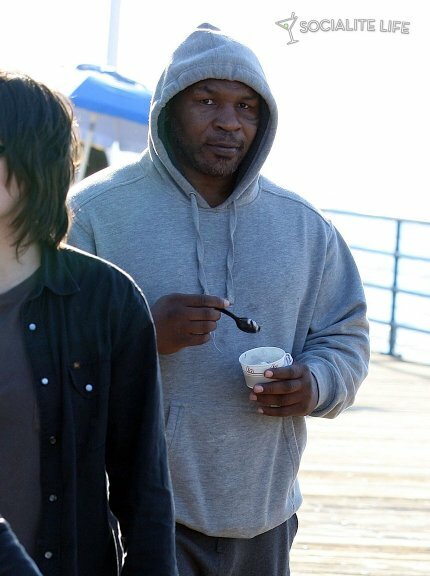 Iron mike looks determined to pound that salad, but Leighton Meester is making an equally good attempt at shoving that hoogie into her head. Our vote goes to Leighton, anyone that goes up against Iron Mike in our mind deserves to win.